Your perfect, outdoor washroom solution for events large and small. Available for the day, week, month or year round. Basic Blue Loo: Polished and ready to go for your event complete with wall mounted, hand sanitizer dispenser. The Silver Loo: Polished and ready to go for your event with pump flush & sink & motion detector light. Accessible Loo: An access friendly unit perfect for every event complete with wall mounted, hand sanitizer dispenser. NOTE: Monthly rentals include weekly service & replenishment of supplies. 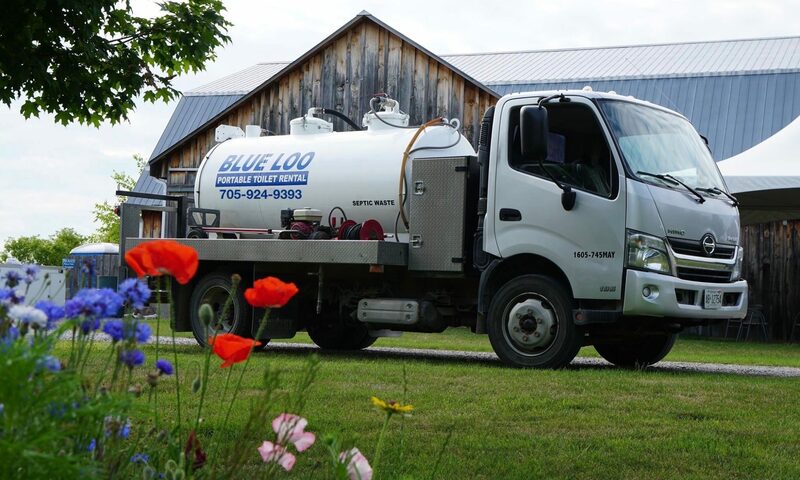 Whether you’re planning your dream wedding, building your dream house or gathering with family and friends at the cottage, with Blue Loo, "You’re Good To Go!" Contact Derek & Cait for the perfect outdoor washroom solution! What style Loo do you require?